Teenagers are ditching Facebook in favour of other social media platforms such as Snapchat and Instagram, according to a study from the Pew Research Center. The decline in teens using Facebook wasn't unexpected as the social network has struggled to stay relevant with younger audiences as their parents signed up to monitor their child's social presence and stayed after the kids moved on to Snapchat and Instagram's picture-based medium. Roughly half (51 per cent) of US teens aged 13-17 say they use Facebook, notable lower than the shares who use YouTube, Instagram or Snapchat. Facebook was well behind the other platforms - YouTube (85 per cent), Instagram (72 per cent) or Snapchat (69 per cent). The study also found that smartphone usage had dramatically altered how teens used and accessed social media. Memac Ogilvy agency in the UAE creates a print campaign designed to put you to sleep. The ad was created after research into the sleep behaviour of those living in the UAE found that nine in ten people were not getting the ideal eight hour sleep a night. They also found that a third were sleep deprived, with 32.4% for only six hours. The Somnig (meaning sleepy in Swedish) print ad is designed to act as a “sleeping aid”. People are directed to simply tear it out of a magazine, “assemble” it (like an IKEA flat-pack) and place it next to their bed. When activated, a speaker in the ad emits a white noise frequency, which has been proven to aid sleep. The paper is also designed with an aromatic lavender port and the ad was printed using lavender-infused ink - which is known to promote sleep by helping to relax the muscles and lower the heart rate. Australia's popular fruit juice and smoothie bar, Boost together with Australian favourite, Vegemite, deliver their limited edition flavour in-store. The Vegemite Boost smoothie combines chocolate, vanilla yoghurt, banana, and a hint of Vegemite, for customers to enjoy this winter. Managing Director of Boost, Claire Lauber, says, "Vegemite really is a quintessential Australian favourite that many of our customers grew up with. 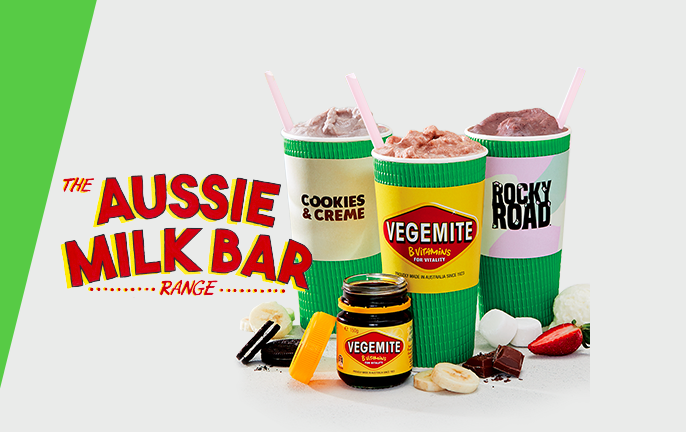 When we first thought of the idea for a Vegemite flavoured smoothie, we knew it was pretty out there. However, Vegemite when combined with the chocolate, banana and dates really is delicious". Vegemite boost will be available part of Boost's new Aussie Milk Bar range. Twitter is in the process of recruiting publishers to take part in a pilot programmatic ad network that will place ads in Twitter Timelines embedded in publishers' sites. "You already enjoy the power of real-time Tweets on your webpage through embedded Timelines. Now, let it generate revenue for your site. The Twitter Timeline network is the first ad program that allows publishers to offer real-time content to their audience and drive incremental revenue with targeted ads." After releasing Q1 earnings report, Twitter's plans to "tap into new channels of demand". NAB is moving towards delivering personalisation right in the moment, to create exceptional experiences for the customer. According to CMO Australia, part of NAB's marketing strategy involves using data and insights to help guide consumers through 'life's moments' both good and bad, to create a unique human customer experience at the right point in time. "We're trying to pick up all these happy and sad, exciting and troubling moments where the customer really does need to think about what's going on with their financial circumstances," Karen Ganschow, General Manager at NAB. NAB recognises that customers don't want product conversations, rather they want help with their financial situations during life's range of moments such as purchasing a new home, having a child or couples going through a divorce. Even when a customer plans to travel, NAB will use this customer data to be able to pitch personalised messages at the right time. 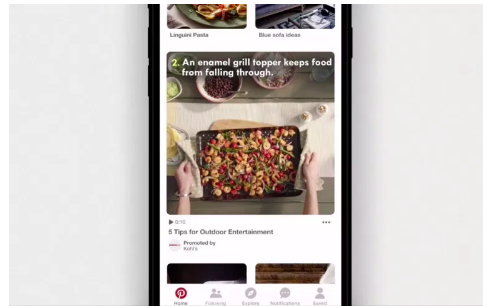 Pinterest continues to push into promoted videos, and has introduced a new video ad product as it tries to get advertisers to put more of their budgets into the platform. The new video ads will take up more real estate on users' smartphones, but unlike Instagram and Snapchat, Pinterest has yet to go full-screen video. "We wanted to maximise the width to allow for more impact in the deef while Pinners are browsing for ideas before and after the video. This makes the video more native to the discovery mindset on Pinterest," a Pinterest spokesperson said. Digital advertising revenue in Australia reached $2.1bn in the first quarter of 2018, driven by both video and mobile advertising. The data came from the Online Advertising Expenditure Report by IAB/PwC revealed an overall increase in digital ad revenues - up 13% year-on-year. Video was up 38% in Q1 2018 vs Q1 2017 to reach $320 million, representing 42% of the entire display advertising segment for the quarter. The report also shows a shift in advertising spend with marketers favouring general display advertising over both classifieds, search and directories. IAB director of research, Gai Le Roy, says the findings in the report signify a shift in consumer behaviour towards mobile and video, so it's little surprise to see an increased investment in these formats. Learn more about other findings from the report summary on CMO Australia. Amazon is continuing to grow its digital advertising, with the launch of its own retargeting product. The company is about to introduce a new display advertising offering, according to Bloomberg. Similar to Google, Amazon is working towards a program that will have the complete offering. Amazon's advertising business tool will let merchants sell on Amazon's online marketplace purchase spots that will follow shoppers around the web to lure customers back into Amazon to complete the purchase. Amazon is inviting a selected number of merchants to test the new ads later this month.